Boston bar professionals, think of a song that really grabs you — one that makes you want to jump up on a table and sing into an empty beer bottle, or slow-ride in a convertible down Mass Ave., or grab a dark-haired stranger in a Buenos Aires cafe and do the tango. Translate that song into a cocktail with Appleton Estate Reserve Jamaica Rum. Submit your recipe and the tale of its musical inspiration by July 26. Why? You could win a trip to Jamaica — and global renown. 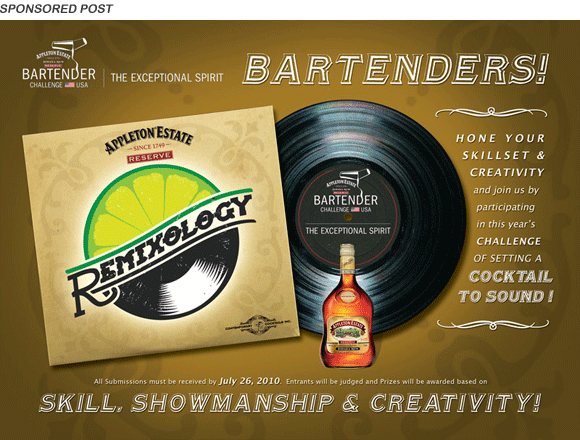 Once all submissions are entered by July 26, 15 contestants will be chosen and featured on the Appleton Reserve Mixology Challenge and Contemporary Cocktails websites and in press materials. 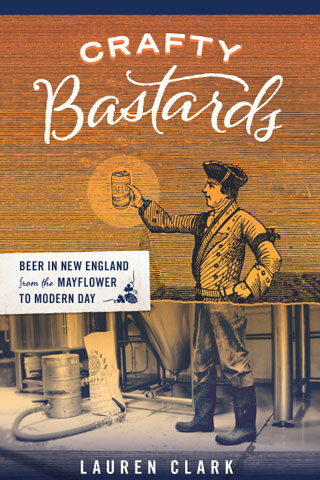 Five of the 15 will be selected to compete in August at Drink. This will involve “performing” your cocktail to the tune that inspired it, as well as mixing a second cocktail that is locally inspired (“No Charles River ice,” warns Willy.) Yes, you can sing and dance — but you don’t have to. Get creative. We’re not talking Tom Cruise or Coyote Ugly — you’re cooler than that. The top Boston finisher moves on to the finals in Manhattan August 30-31 to show bartenders from the other competing cities — NYC, Miami and San Francisco — who’s boss. The winner of the finals wins a red-carpet, all-expenses-paid trip to Jamaica in October to participate in the Global Showcase with bartenders from nine other countries. How cool is that? Get all the details here. Represent for Beantown! I couldn’t stay until the end… Who won? Stirring three mixing glasses full of his sophisticated Bustamante cocktail on a spinning turntable with one hand and dangling a mini disco ball with the other as Frankie Valli’s “Sherry Baby” played in the background, John Mayer of Craigie on Main won the contest quite handily. I don’t have the recipe handy, but the Bustamante involves Appleton Estate rum, sherry, Campari and some bitters, I believe.